This week we got to do one of my favorite styles of art, painting! I love painting because it is therapeutic to me and a way to express my thoughts. This wasn’t just normal painting though, we got to use spray paint. I have never experimented with spray paint until this project. I think I might be addicted now….I loved it! I love the way the paint goes onto the surface. It was also cool experimenting with the texture of the paint. Depending on how far away you hold your paint from your surface you can get a much different look. It was a bit difficult to use right at first, but after practicing a little it came easily. Something about spraying it was therapeutic too. Although I didn’t get to go to the Venice art walls, I did have an adventure with Jack in my yard. We had a blast collecting materials and finding scraps of wood. We did our project out under the moonlight and really had fun experimenting with this new style. 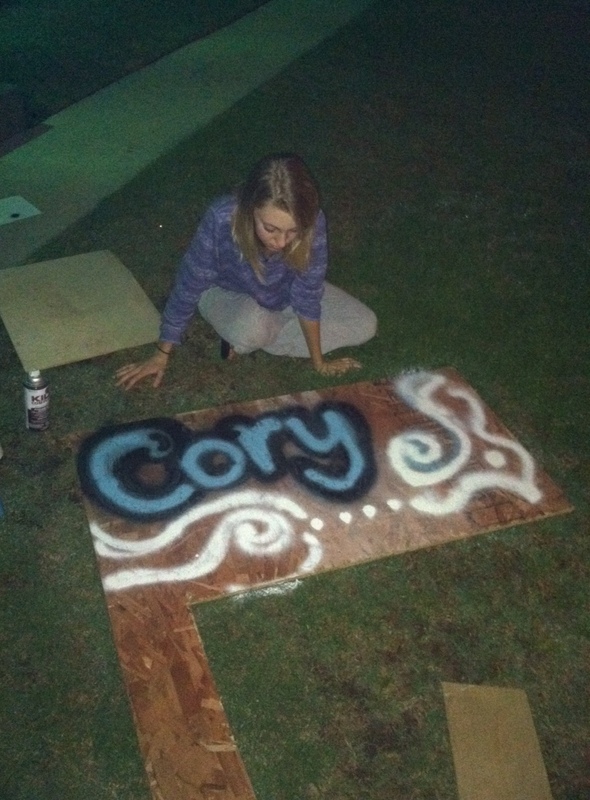 I decided to paint only my nickname, “Cory” so that I would have a little more room on my piece of wood for some doodling. 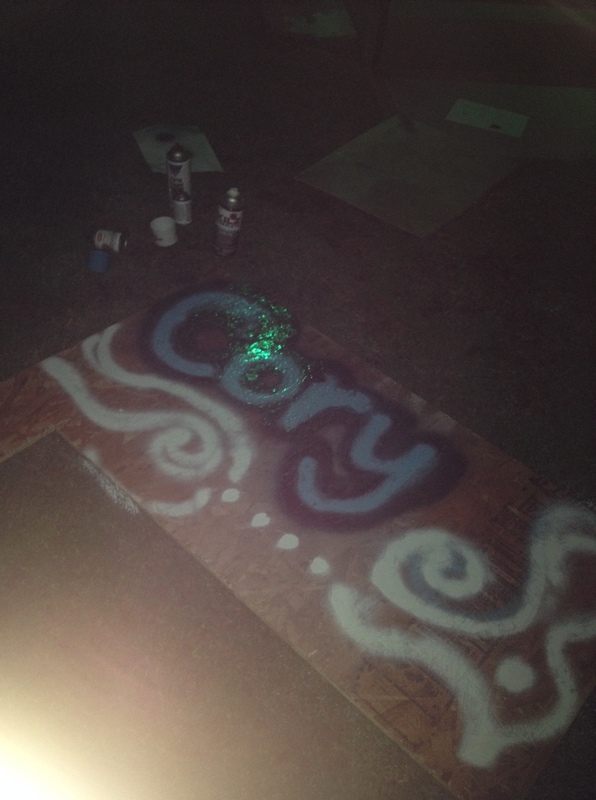 I was seriously having so much fun with the spray paint that I didn’t want to stop. Unfortunately we ran out which made me stop. I want to adventure to the Venice art walls sometime soon because I have never been. Maybe I will practice my spray paint skills before I go so that once I am there I will be a little better. I was really inspired after the video “Bomb It” that we watched part of in class. I am for sure going to watch the whole thing soon. The graffiti artists were so talented and inspiring. I love that they use their art to often times to make a social or political stance. After watching it I looked up the artist Banksy, and fell in love with his art. I am inspired to learn about some of the other graffiti artists featured in the film too. Posted in UncategorizedTagged #art110, Painting, Spray PaintBookmark the permalink.